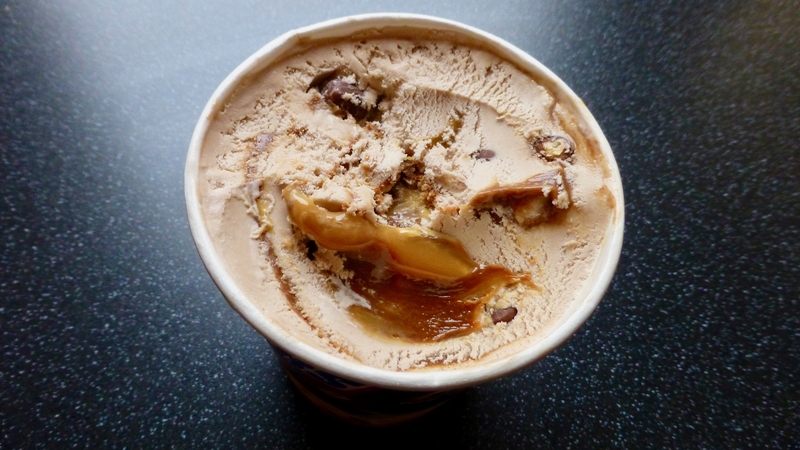 I have been a woman on a mission for the new Snickers ice cream and after 3 failed attempts at Asda and numerous lookouts at other supermarkets, I was beginning to lose hope. Coupled with fellow Snickers fans proclaiming their love for this new tub I was sure there was some hex on me finding it. However rejoice dear people because I have finally got hold of this nutty tub. Snickers already comes in the form of ice cream bars which on a general level I am not a fan of ice cream you have to bite. 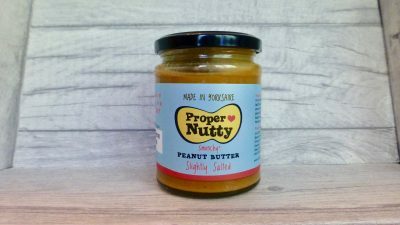 This 500ml tub sits along the Mars and Twix varieties and comes in at £3.00 and is suitable for vegetarians and is gluten free; Mars and Twix however are not gluten free. Look at it in all it’s glory, does anyone else see a smiley face / moustache there or is it just me? You are going to have to leave it for a five or so minutes to soften from its rock solid status, but those who are impatient like me, it is totally worth the wait. The ice cream was smooth, a little creamy and had a delightful peanutty taste to it. The ice cream was littered with chunks of milk chocolate coated peanuts which gave it even more of a nutty element. The caramel, chocolate sauce was gooey and oh so delicious but don’t let that big pocketful on the top fool you because for the rest it was just swirled into the ice cream and didn’t bring much to the table. From looks alone it does not disappoint. Yes it isn’t the greatest of qualities of ice cream but as a whole it is exactly what it says on the tin. 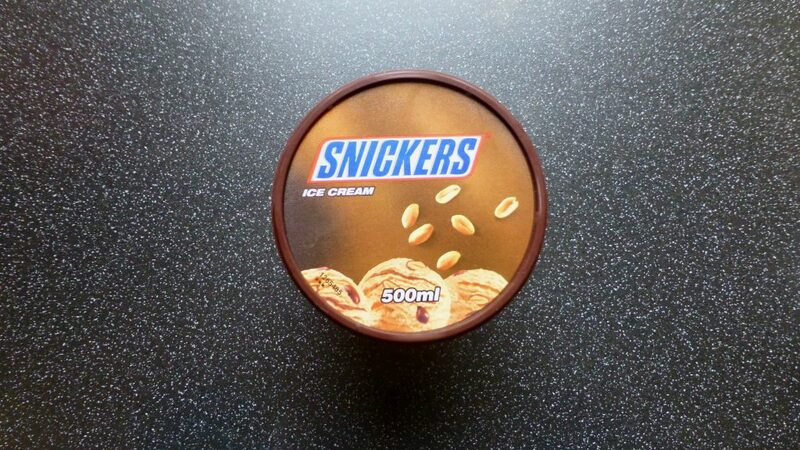 I am sure Mars sat there and thought how could we possibly top a Snickers bar, and some bright spark just knew this ice cream tub was a genius idea and bravo it is. Snickers lovers add this one to the shopping list. As I type this I cannot help but now want a bowl of this ice cream and whack in some chopped up Snickers or Snickers Bites for a double Snickers hit!